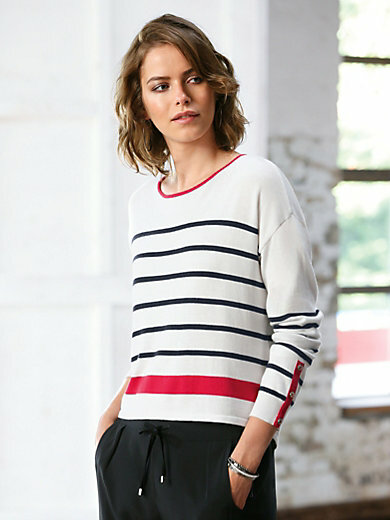 Round neck jumper by LOOXENT: sporty stripes on soft fabric for a fashionable look. Casually styled fine knit with extended shoulders and red contrasting stripes on the sleeves with decorative buttons. 60% viscose, 40% cotton. Length approx. 23ins. The round neck jumper is machine washable.